A third spell of heavy rains has completely battered Chennai and various parts of Tamil Nadu. 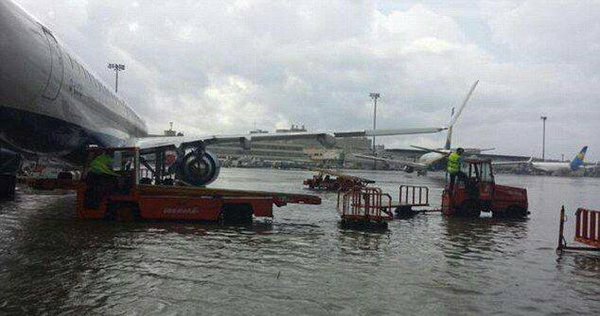 Many parts of Chennai and its suburbs are flooded, including the airport. Flight operations have been indefinitely suspended. Some trains have also been cancelled by the Chennai administration. The National Disaster Response Force (NDRF) and Indian Army are carrying out rescue operations in the flood-hit city. 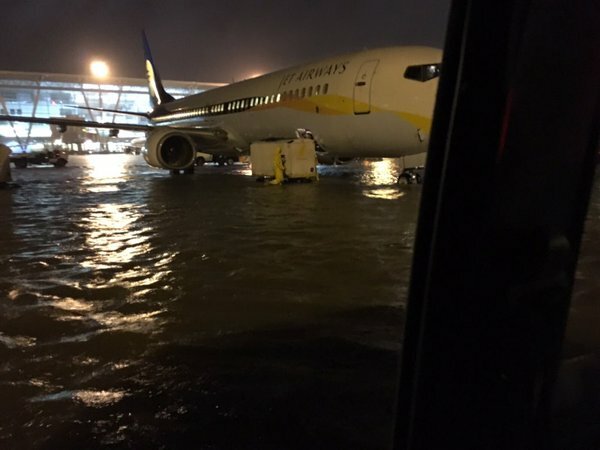 Over 400 passengers are stranded at the Chennai airport. The water has entered the runway, reaching the under carriage of the aircrafts. 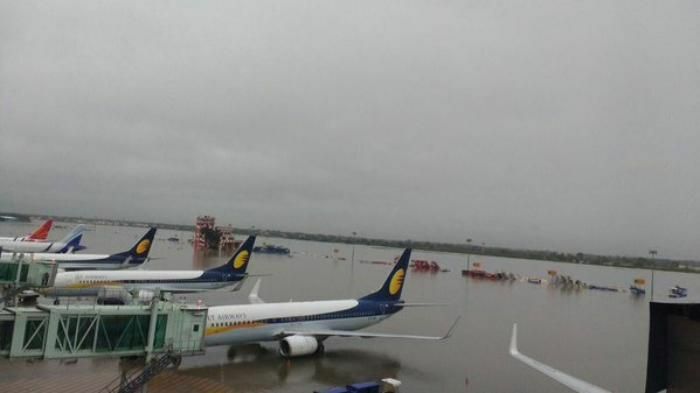 According to media reports, the flights cannot take off till the water level recedes. The Indian Army has deployed 50 personnel in Chennai suburbs - Tambaram and Oorapakkam. The NDRF has deployed 10 teams in Tamil Nadu. Five other teams comprising 300 men will soon reach the spot. A Naval rescue team has also been deployed in Gandhinagar area, beyond Adyar Bridge along Buckingham Canal, as the whole area is flooded. NTL India, a conventional call taxi provider, has introduced 15 boats with trained rescue emergency teams in several parts of the city. Cab service Ola has also introduced boats for rescue operations. Roads in various parts of Chennai are either submerged or have caved-in. The water has reportedly entered many homes and residents have reported power outage in various parts of the city. The Chennai Corporation has announced emergency contact numbers for all the regional zones in the city. While the city reels under the heavy rains, Chennaiites have shown that their heart is in the right place. Reports are pouring in of residents opening their doors to strangers, offering food, shelter and even mobile recharges. A mall in South Chennai said it kept its doors open overnight for stranded people.